Below are four simple ankle exercises that you can perform to help you build strength in this area of the lower body. 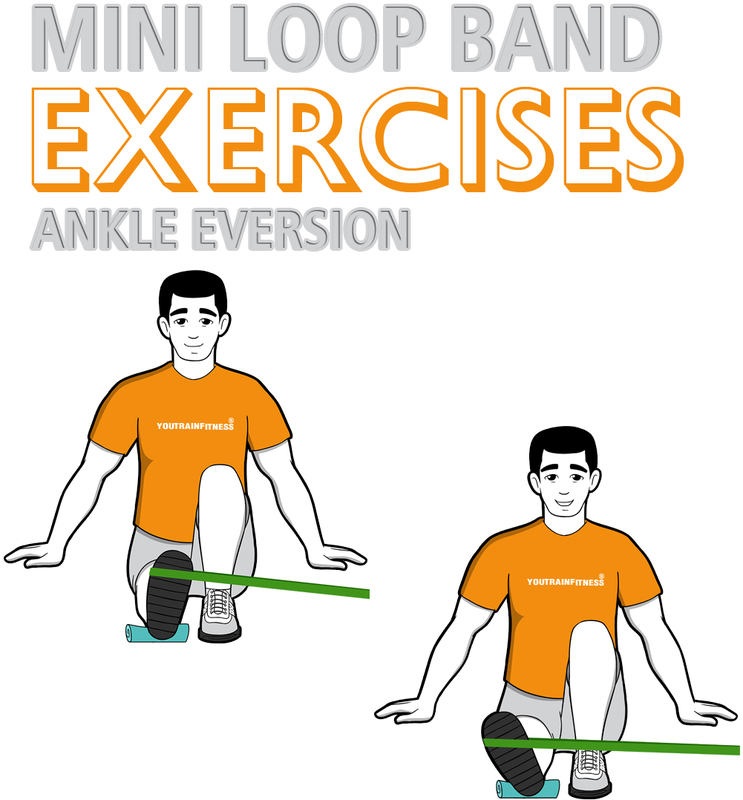 When performing these ankle exercises, its important to choose the proper mini band. Choosing a mini band that will allow you to have full range of movement while preforming the exercises is suggested. 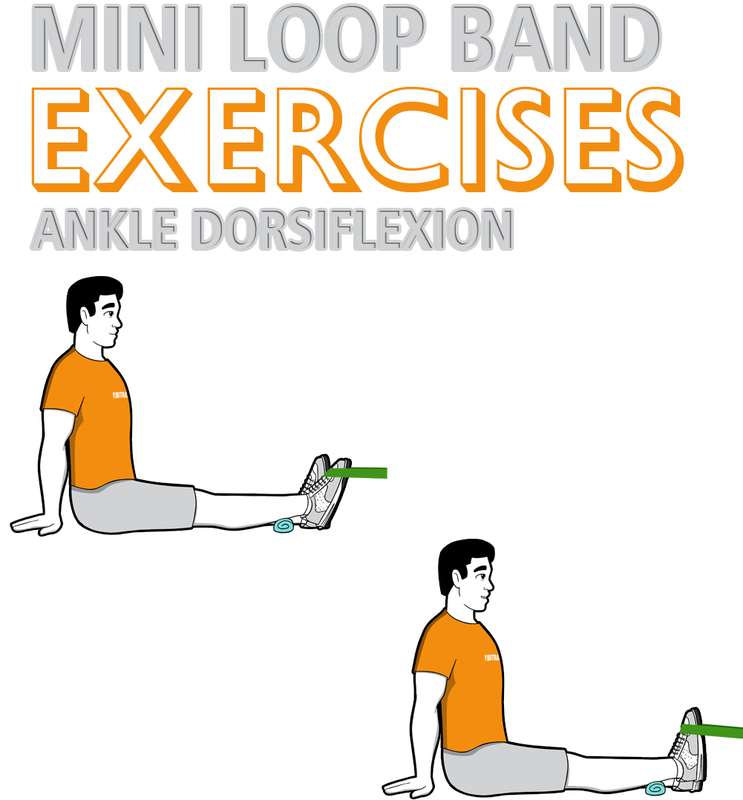 For most user, the extra light (green) mini band will provide the proper tension for persons looking to build ankle strength. For users who’s ankles may be able to tolerate additional resistance the light (blue) mini band is suggested. For users who have developed strength from using the blue mini band the medium (yellow) mini band provides an excellent resistance and is a suitable progression. 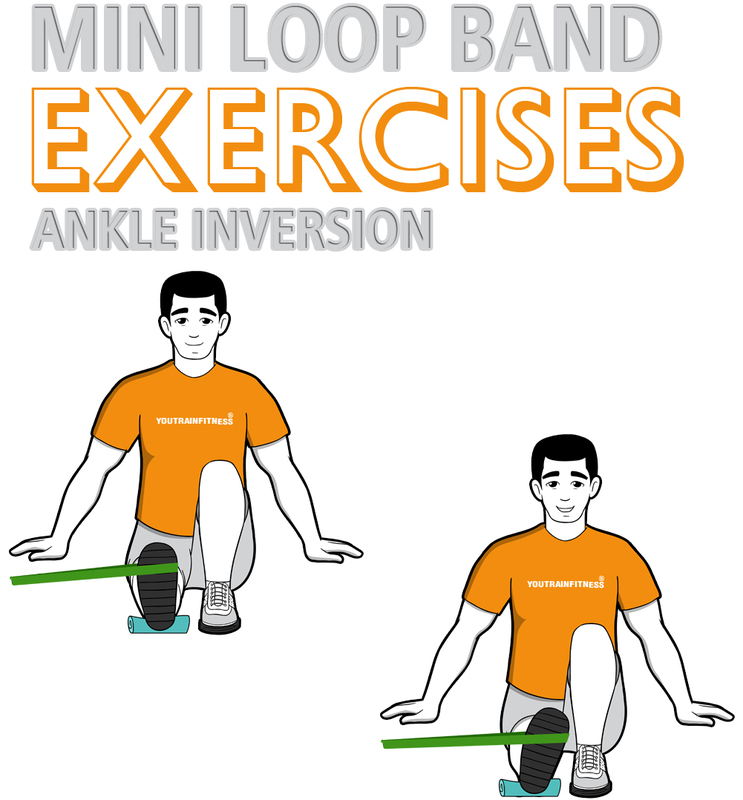 If you are not sure which tension level is right for you when performing ankle exercises, purchasing the 3 pack mini bands through this special link will ensure that you have the correct tension level and include a discount off the individual band purchase. Below is the suggested order when performing these ankle exercises. If you are performing the total body strength workout using resistance bands, you may skip the first ankle exercise below since heel raises strengthen the ankles as well using the same motion. Consulting your health care provider is suggested before performing these exercises so that s/he can evaluate if these exercises are right for you. These ankle exercises can be performed at the start of your workout or specifically after you perform lower body exercises. 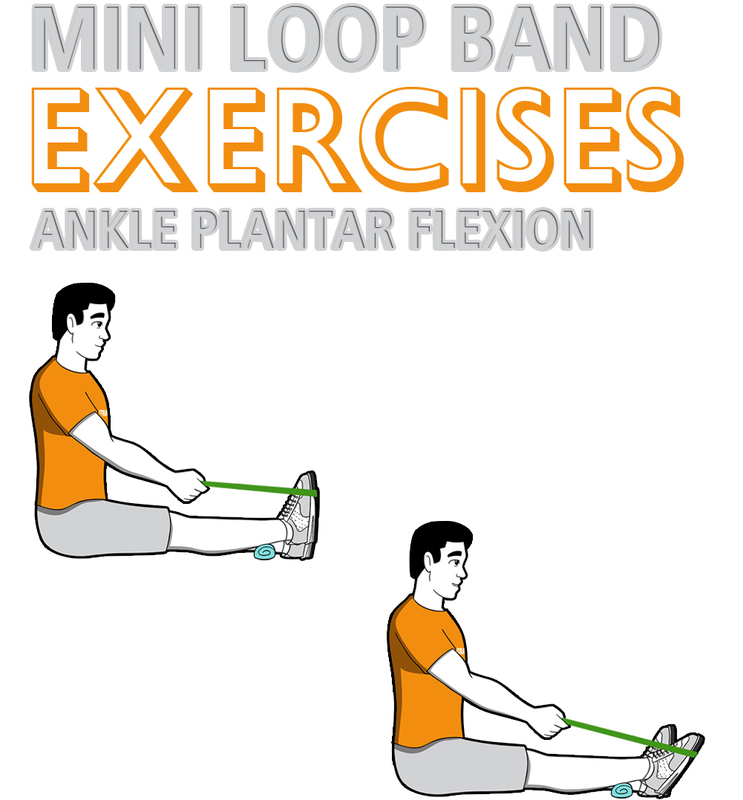 The mini band used above is here however; to perform these and other exercises when using the mini loop band, we recommend the best deal of purchasing the six mini band set, pick one up today! 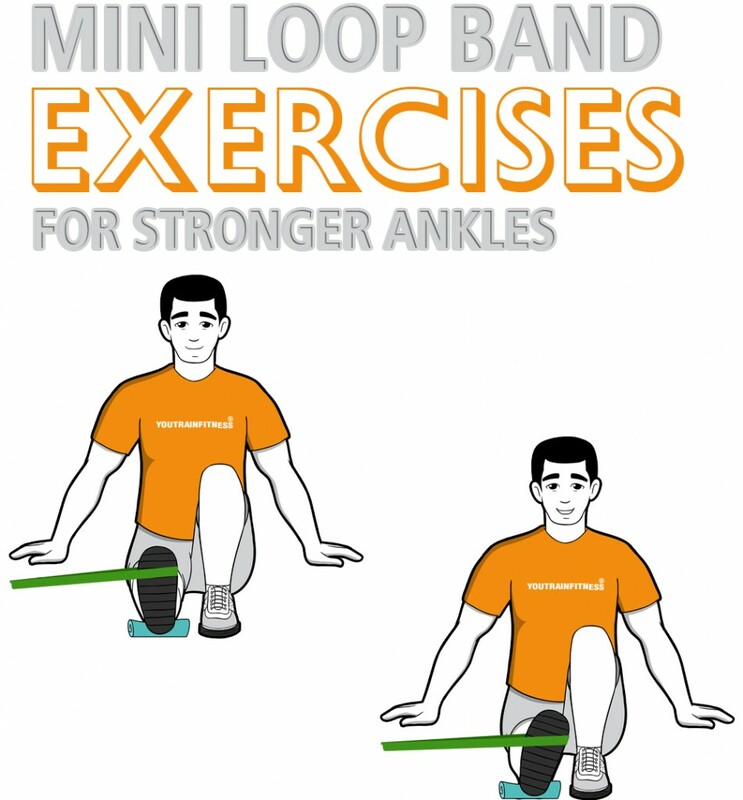 This entry was posted in How to Guide and tagged ankle exercises, dancing, football, Mini Loop Resistance Band Training, Mini Loop Resistance Bands Exercises, running, soccer, tennis.